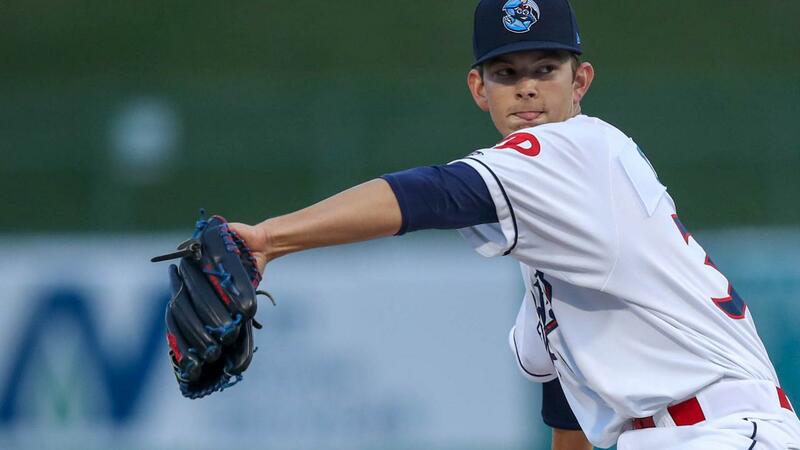 The BlueClaws took a no-hitter into the ninth, but fell to Delmarva 7-5 on Saturday. SALISBURY, MD - The BlueClaws carried a no-hitter and a 5-0 lead into the ninth inning but JC Encarnacion hit a walk-off grand slam to cap a seven-run inning as Delmarva topped the BlueClaws 7-5 on Saturday night at Perdue Stadium. James McArthur started the ninth with a 5-0 lead and surrendered an RBI double to Ben Brazeale with one-out to break up the no-hit bid. Robinson Martinez (0-1) came in and after getting the second out, allowed the next five hitters to reach, capped by Encarnacion's grand slam. Of the seven to score in the ninth, three reached on hits, two reached on walks, and two reached on hit batsmen. The BlueClaws (3-7) have now lost four in a row, this one on their first walk-off homer allowed since June 9, 2016, also at Delmarva. The Shorebirds improved to 7-1 on the season. The BlueClaws opened the scoring with three runs in the top of the first inning. A two-run single from Carlos de la Cruz made it 2-0 Lakewood and then Luis Garcia followed with an RBI single. Kevin Gowdy escaped damage in the bottom of the first, not allowing a run despite walking the bases loaded to start the inning. The BlueClaws then pushed the lead to five with two in the second. Malvin Matos, who singled and scored in the first, drove in Cole Stobbe after his lead-off triple. Ben Pelletier's first hit as a BlueClaw followed, an RBI single to bring home Matos and put the BlueClaws up 5-0. After Gowdy came out after the fourth inning, Ethan Evanko threw a scoreless fifth before turning the game over to McArthur. Gowdy retired 12 straight after walking the first three batters he faced, while striking out seven. At one point, he struck out six consecutive hitters. It was his second start of the year after missing 2017 and 2018 following Tommy John Surgery. Grey Fenter (1-0) threw four scoreless innings, allowing two hits with eight strikeouts, to earn the win in relief for the Shorebirds. Malvin Matos, Ben Pelletier, Abrahan Gutierrez, and Luis Garcia all had two hits in the loss for the BlueClaws. The teams finish their series on Sunday at 1:05 pm. RHP Colton Eastman (0-1) starts for Lakewood opposite LHP Nick Vespi (1-0).